There was a block party at the Air Canada Centre tonight hosted by Serge Ibaka. Everyone on the Orlando Magic was invited. In all seriousness, Ibaka was extremely active on both ends of the floor. It definitely rubbed off on other Raptors. 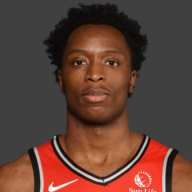 Anunoby was doing it all tonight. He brought constant defensive energy, showed off his athleticism with a beautiful and-one finish and was scorching from beyond the arc. This was easily one of his best games of the season. Lucas played only six minutes before feeling tightness in his hamstring. He was ruled out for the remainder of the game. 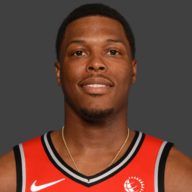 Lowry didn’t have a minute restriction in this one, presumably because he’s due to rest tomorrow on the back-to-back versus Detroit (in Detroit). 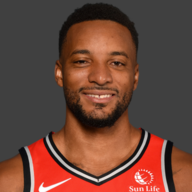 Early scare for Norman Powell as he turned his ankle on a drive to the basket. He left, but soon returned to the game after medical treatment. He had an encouraging night, a lot of which came defensively. Energy, energy, energy. 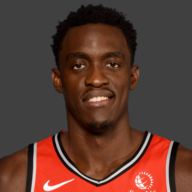 It’s been the theme all season for Siakam. He’s developed so many different parts of his game, with his unnatural speed and regularly unmatched tenacity. He outworks his opponents night in, night out. Tonight was no different. Delon Wright filled up the box score across the board, as per usual. The guy’s a do-it-all guard who can play-make, rebound, defend multiple positions and disrupt plays. 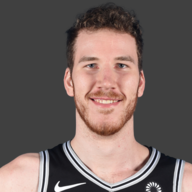 Poeltl was perfect from the floor tonight. He battled with the Magic bigs from start to finish. Khem Birch and Biyombo are not small tasks for the Austrian. Nonetheless, he held his own. 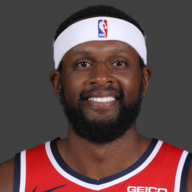 CJ Miles may be one of the more important players on this roster. His shooting ability is unmatched and gives the team a completely different dimension. 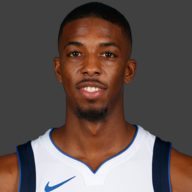 Arguably one of the best shooters in the NBA, Miles lit up the Magic tonight with long-range bomb after bomb. 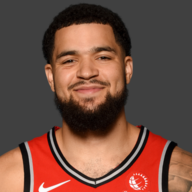 Van Vleet played just nine minutes before being subbed out for lower back tightness. He was kept out of the game for precautionary reasons and will be evaluated further. 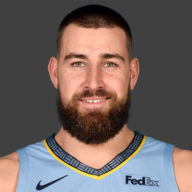 JV was rested and didn’t play a single minute, but he gets an A+ simply for that sharp three-piece he was rocking tonight. Bowtie too? I just couldn’t help myself. Casey opted to rest both DeMar DeRozan and Jonas Valanciunas this game. One, it’s the Orlando Magic and two, Toronto is nearing the playoffs. 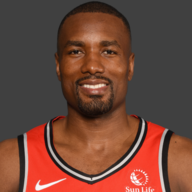 The assumption is Lowry and Ibaka will get their rest at some point, as well. DC let the kids run around and play for this one — and it was a lot more fun to watch than expected. What’s with the injuries all of a sudden? 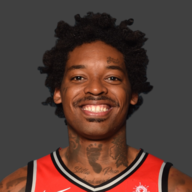 First it was Norman Powell with an ankle injury (who returned), than Bebe Nogueira with hamstring tightness and finally Fred Van Vleet with lower back tightness. None of these were characterized as serious injuries, but with how healthy Toronto has been this year — it’s not something fans are used to. Toronto went supernova from long range in this one. CJ Miles led the barrage early while Powell and Anunoby quickly followed suit. Toronto was 10 for 24 from 3PT range in the 1st half and finished with 17 threes. The willingness to share the ball and stretch the floor is exactly what you want to see from a team just two games out from the NBA Playoffs. Terrence Ross returns! The former-Raptor missed 57 games leading up to his comeback tonight. It’s good to see, especially that he can do this against many of his former teammates and close friends in a city he still admires. Remember that system/culture change everyone from Ujiri to Casey to Lowry talked about incessantly in the offseason? Well, I have some good news. It’s game number 79 and your Toronto Raptors have stuck to their word. This was the last home game of the season and Toronto finished 34-7 (Eastern Conference-best record), first in the conference and are Atlantic Division champions. Now, it’s on to greater things.